This handsome colt is a half-brother to a multiple stakes winner. He's by a G1-winning/champion-producing sire and by a stakes-producing mare. His dam's sire is one of the leading broodmare sires. 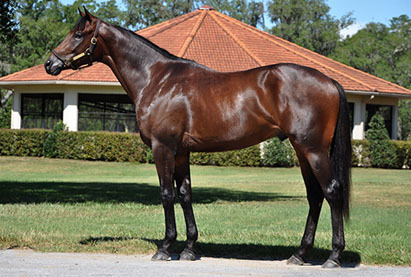 He has the breeding to run on either surface and compete at classic distances.